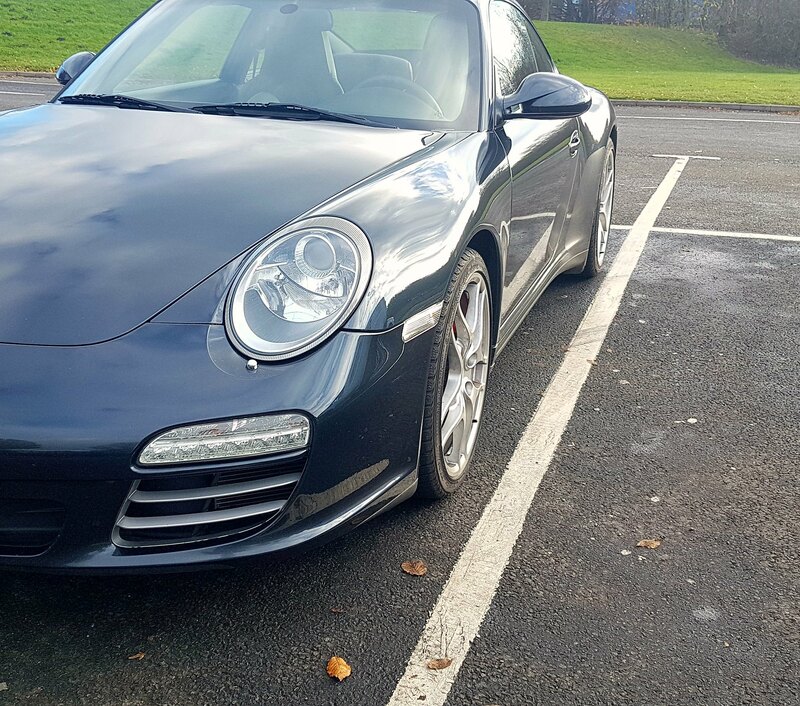 Just thought I'd start my own thread of my LHD/Gulf Spec 997.2 4S which I've recently imported into the UK from the UAE. I bought the car with around 24k miles on the clock (in 2016) and its now around 31k. Spec is reasonable with black sports seats, PDK, extended leather, red stitching, red seat belts, sports chrono, sunroof, Bose etc, only thing really missing is the PSE. Finished in Atlas Grey. August 2017 I planned to relocate back to the UK. Not wanting to part with my 911, I shipped it back. I did all the work needed for the car to pass the IVA. This included swapping over the PCB in the rear clusters to get the fog light on the right, flip the tab in each headlight for driving on the left in the UK and lastly configuring the speedo to MPH. Granted, sitting on the left is strange at first, but after a good few drives its becoming second nature already. Fit 7MM and 15MM spacers (at the time of the geo). I will upload before and after pics. Buy a roof transport system and ski rack. Plan is to go skiing in the alps over winter, no better car for it! Fit a new Bosch S5 battery. The current one is over 3 years old. As preventive maintenance, I've ordered one which i will fit this week. Nice work. I wish my rusty bits looked like yours when I swapped over the exhaust on the weekend. Mine looked like rusty mushrooms. 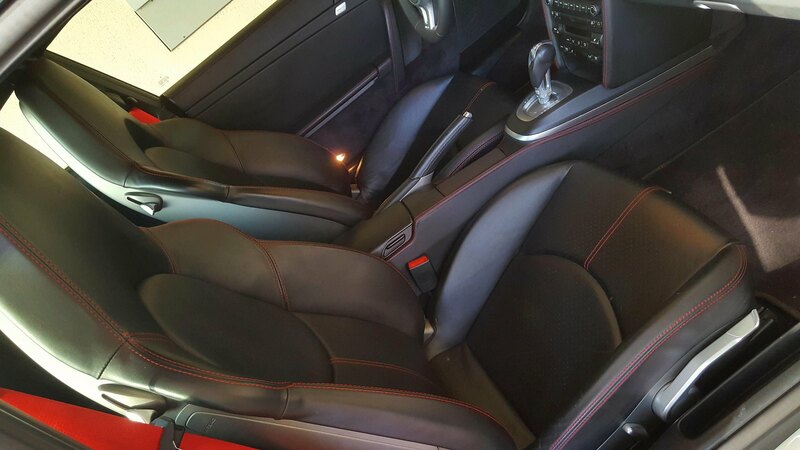 Interior looks great with the deviated stitching. Great to see you made it back in one piece. I've got similar skiing plans for my Dubai C4S. I've already got a set of roof rails, but I plan to run a Thule roof box for a couple of reasons: 1. it adds a fair bit of lockable luggage capacity and 2. it keeps your skis from going rusty (salted roads aren't any good for your edges...). I see the value in that, but for me the box just doesn't look as cool. Btw - will be interesting to see how our Gulf spec cars cope in colder weather (especially yours in Finland!). Things like dry seals etc My heater has no idea whats going on! The car does run loads better with the cooler air though. Was it cost effective to bring it back?! i.e. no tax to pay and cheaper than buying an equivalent UK car? No tax/duty as I was a returning resident (having been away 8+ years). 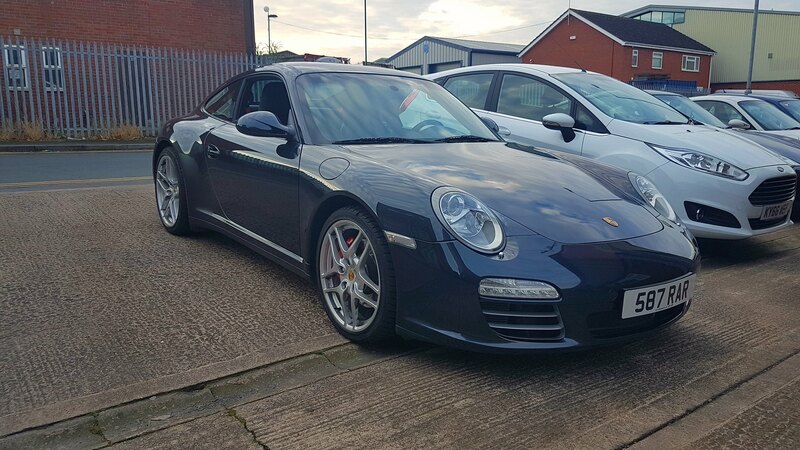 Price wise, including shipping I'm still looking at around 30-35% less than UK RHD equivalent car with the same spec and milage. No brainer for me. My 911 has now been at Center Gravity for the last 2 days. I dropped down today to have a look and speak to the chaps there. I'm rather impressed with Chris and co. He's mega passionate about Porsches and engineering around them. He was kind enough to make me a cuppa tea and said I could hang around whilst he went through the checks on my car. He really explained everything, this itself gives me trust in them. 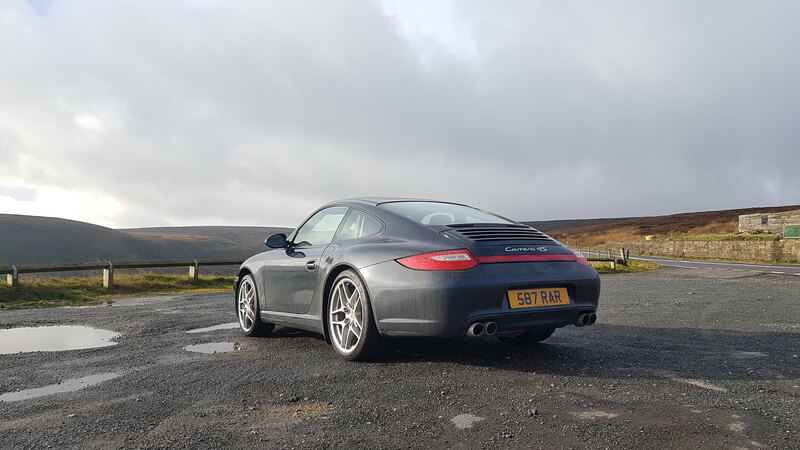 He took me for a test drive in the car yesterday morning, really really thorough the way he tested it and the way moves around on the road and over bumps, cobbles etc. The geo is out (which i kind of assumed) but also slight play in one of the inner track rods (which they will replace). I cannot wait to collect it tomorrow and see how much better it will look with the spacers on, but also how it will drive. Also there was a lovely GT3 in there and I met the owner too, nice chap as well. Not sure on the tax/duty part. I'm sure HMRC have a calculator somewhere? Not much sand really. There was a bit in the bulkhead near the battery which has subsequently turned to muddy silt which I've since removed. 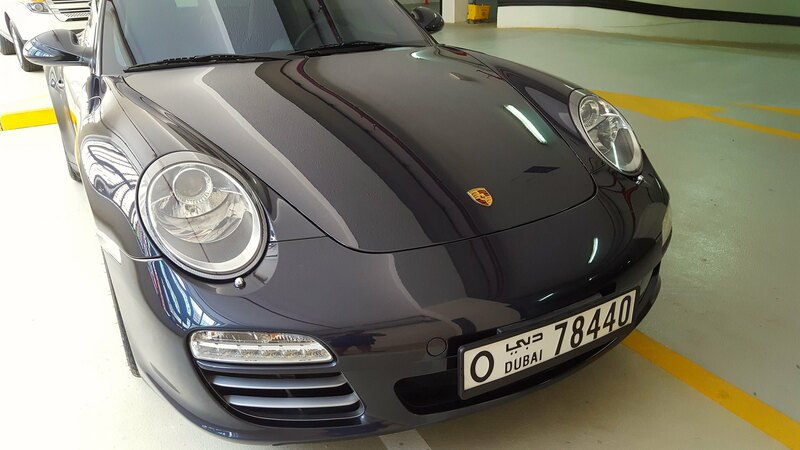 My car is tidy for a Dubai car and had a nice life. There are a lot of dogs out there (i'm sure those who know Dubai will concur). I'm not sure it helps, but import duty over here is 10% of the local value (ie in Dubai), and the VAT is 24% on top of that (35%), so those are major savings to be made with cars imported 'removal goods'. 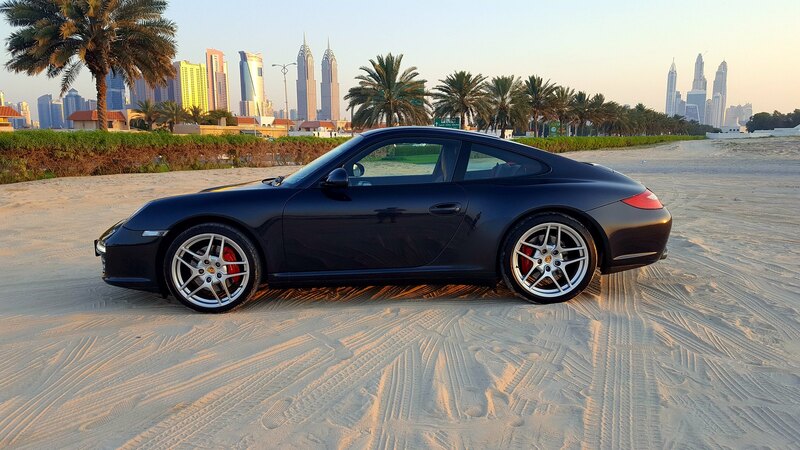 And as Rich says, there really are plenty of dogs in DXB: a pal of mine ended up having pretty much the entire suspension and steering on his 2009 997.2 rebuilt... but at least he spotted it in advance and negotiated a fair price. I have no idea WTF the original owner was doing, offroading maybe? No doubt advertised as "Amazing or mint condition" on Dubizzle. I looked at so many cars who stated this, yet coming to view them they were rough as and covered in dints etc! Collected the car from Center Gravity this evening. Had full breakdown from Chris on what he'd done etc and off we went for a test drive. 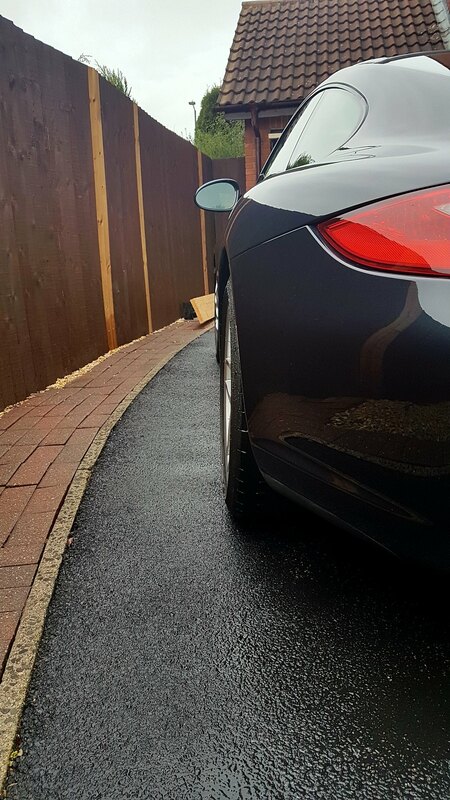 I have had the winter tyres fitted, but the car felt brilliant. So much more planted and sharper turn in. 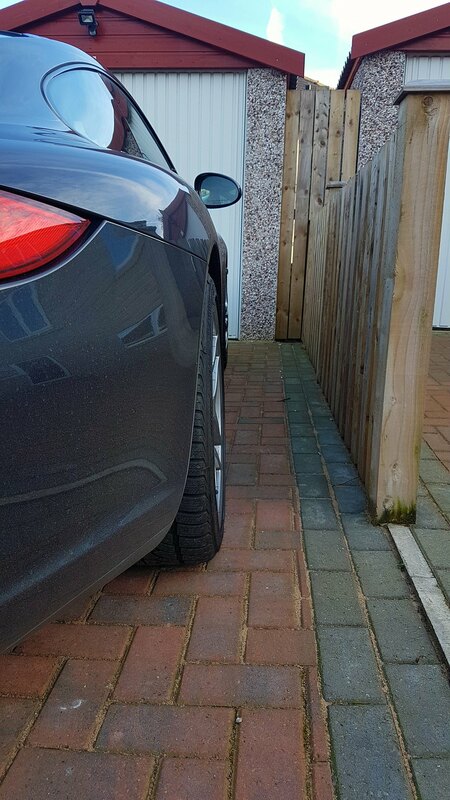 Spacers were also fitted (better before and after pics to follow). and of course quick picture. The spacers make such a visual difference! Hi Rich, good to meet you today at the emporium. Your car is very nice indeed in the flesh. Ahhh hello Mike! I did wonder if you were on here! Sorry to have kept you waiting. Chris was a little thrown off when the airbag light came on (as he'd the door card off). When I got home I fitted a new battery and the light went straight off (as I thought it would). I called CG (spoke to Jayne) to let Chris know I'd sorted it so he could sleep tonight. Love your Turbo, hope you get to the bottom of that issue. Hopefully catch you soon in the near future kind sir! 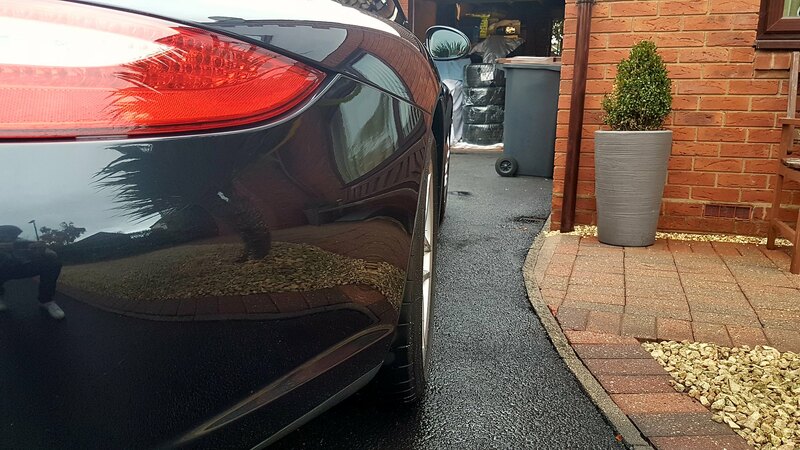 As promised, here's the before and after pics with the 7mm and 15mm spacers fitted. 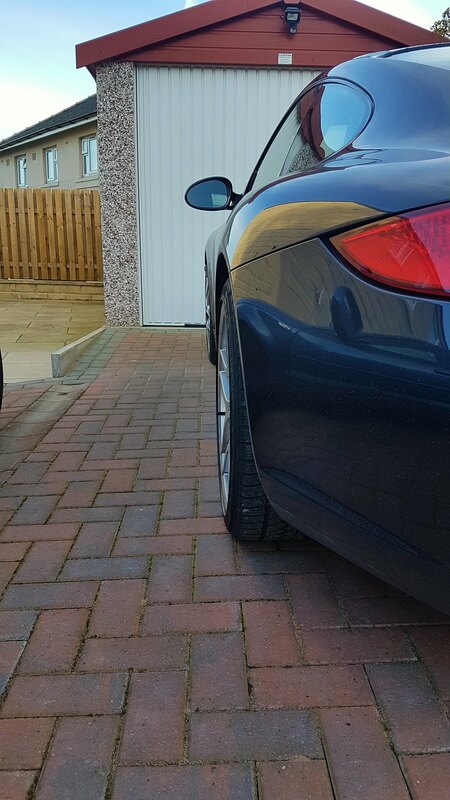 Also note that the later pics are with the 295 section rear winter tyres (where the before pic is with the standard 305's). Overall, I'm very pleased with the 7mm and 15mm setup. I probably would say you could go 10mm to 12mm on the front. Great to see you brought her back home with you. Since my car is a rust/ corrosion free example but had spent its entire life so far in abrasive sandy conditions it made sense to protect it from the salty UK roads (plus this awful damp climate we have here in Blighty). Investing in my investment as such. 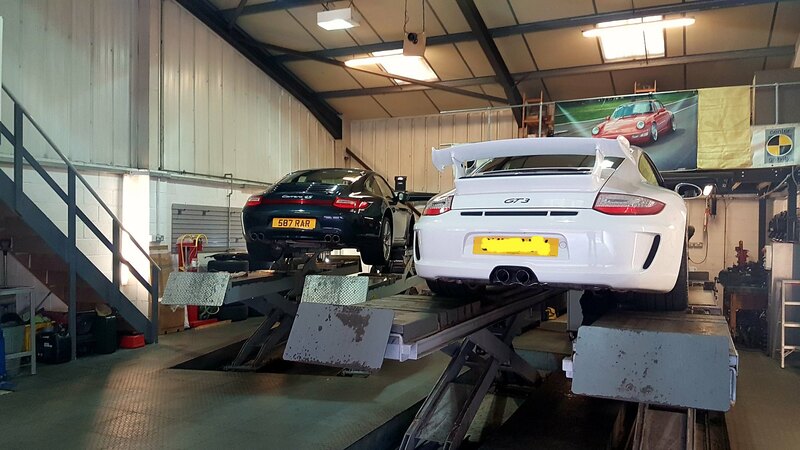 Yes I appreciate all 997's will have some underseal from the factory, but whether my Gulf spec car has the same level of cover compared to a normal EU spec car I am unsure. Either way, there no harm in adding more and covering the alloy components as well. It's currently undergoing a full Dinitrol treatment (clear coat) at an approved Dinitrol center. I did the same too as Rich r this year except I was bringing in a Jaguar. I looked into the how much the tax would have been and it's 20% VAT on the new price of the car (I was located in Riyadh) and a further 10% import duty. However, as a returning UK citizen, I avoided these taxes also.